Underwater -- Things on the surface, shot from below. 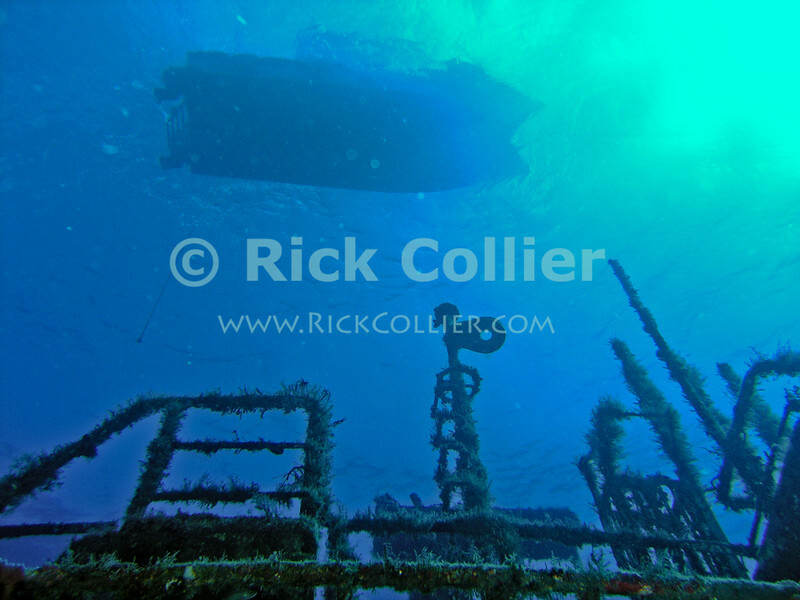 A boat awaits return of its divers, moored above a sunken wreck (the Chien Tong). St. Eustatius (Statia), Netherlands Antilles. "St. Eustatius" "Saint Eustatius" Statia Netherlands Antilles "Lesser Antilles" Caribbean underwater diving ocean SCUBA dive boat sunken wreck "Chien Tong"